Don't let your vehicle overheat. In short, your cooling system is what keeps your car from overheating. It constantly circulates water and coolant through your engine to keep everything cool even when you’re putting a lot of stress on your engine. Felix Auto and Tire can help you maintain a healthy cooling system so that you don’t encounter any problems along the way. Simply bring your car in during the spring for a quick check that everything is working as it should. However, if you’ve already experienced a problem with your cooling system, you need a fast fix. Luckily, you can count on us for that as well! You’ll notice that your car runs hot when there’s a problem with your cooling system. This is indicated by a gauge on your dashboard. Sometimes you’ll also see a warning light. Under no circumstances is it ok to ignore these symptoms! 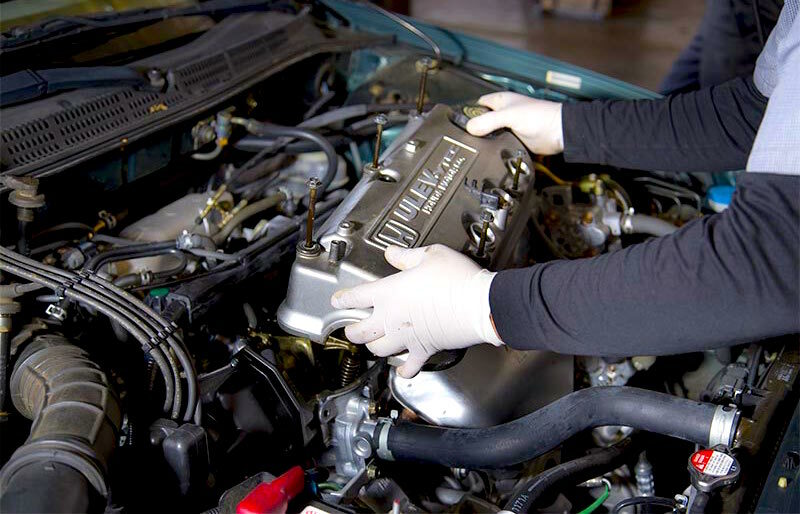 This process may be repeated more than once in order to remove all the old coolant. Next, we’ll fill the radiator with a water-coolant mixture and check the entire system for leaks. We recommend that you have this done every 50,000 miles or so, even if you aren’t experiencing a problem. You can save yourself the expense of a costly cooling system repair by doing preventative maintenance. There are five main components in your car’s cooling system: radiator, radiator cap, hoses, thermostat, and water pump. Any of these parts can experience a problem. It takes a trained eye to identify the issue and an honest team to report only the issues that need to be repaired. When you find a company that delivers both – each and every time – it’s golden! You can trust Felix Auto and Tire to do just that! Call us today for cooling system repair services!